It’s no secret that coats (and boots… and bags) take pride of place in my wardrobe. I used to be a bit crazy when it came to coat shopping where I would buy ’em all, but recently I’ve taken a more minimal approach and am covering the basics before buying anything more trend based. So, in this wishlist, I’ve picked a few classics, such as the black fur coat (which I now need), the trench and the oversized camel number. Plus a few extras like the amazing oversized red dream and the vintage style check cape. So, stand outs to me are definitely (as wardrobe extras) the long light pink coat, as I think I’d feel like a giant ball of cotton candy in it and I’m ok with that. I love the classic look of the black coat with the sheepskin collar, as well as the b&w checked coat which my friend tried on the other day and I adored. 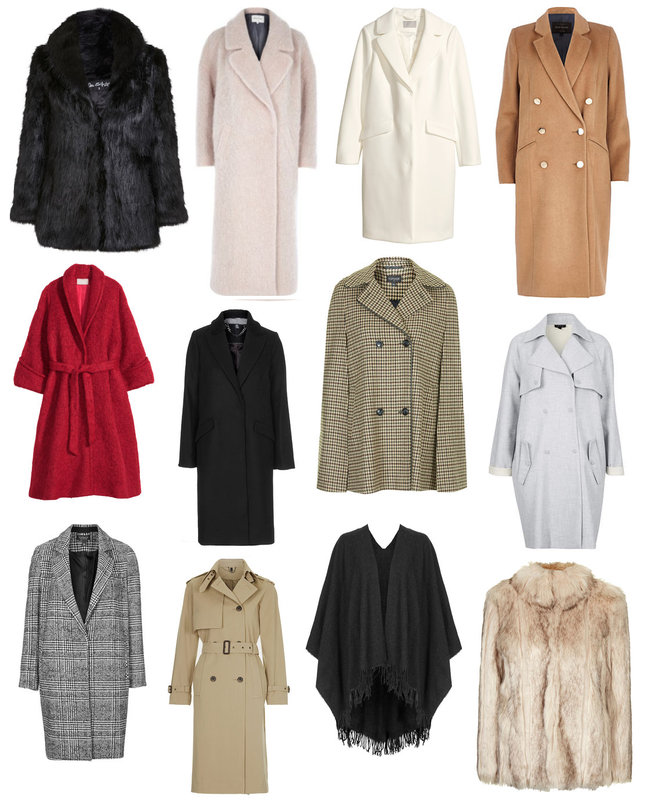 There’s loads of killer coats out there at the moment, as I think the high street are doing so well this season! I would have included some ASOS in here, but removing the grey backgrounds on photos ruins lives so will be sure to edit their pieces down another time! I’m also really appreciating COS and All Saints right now too, more on the investment side of things but amazing in fit and style. What coat are you after this Autumn/Winter? Let me know in the comments as I’m still after a few myself. Oh and enter my £85 Fossil watch giveaway too! It’s really pretty and it’s so easy to enter!